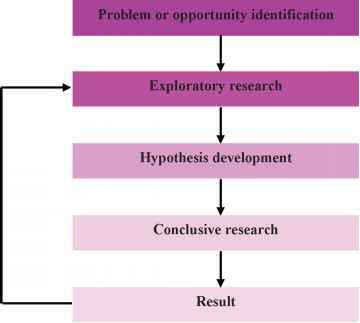 The final stage of the marketing research process, from the researcher's point of view, lies in the report. This can take a number of forms. It may be written, and a written report can be either brief comments on tables or a full report. For research data of sufficient significance to the organization, the report may be given in the form of a personal presentation, often using a variety of sophisticated audiovisual devices. For the research user the form in which the research report is presented has some significance. First, in terms of cost: a full written report is far more expensive than brief comments on tables, since it involves a considerable amount of senior research executive time. For the same reason, a personal presentation by members of the research agency will normally be charged to the client. Whether these additional costs are justified will depend on the type of research, the sophistication of the client in handling research data and the degree of importance attached to the research survey in question. Research users unfamiliar with research reports, or who may be presented with raw data from a research survey and have to compile their own report, may find the following brief section on research reports useful. It discusses report objectives and suggests a convention for report writing.